That’s my life, my house right now. And while normally messes made in a clean house frustrate me, today they don’t. I’m trying not to see so much of the mess. I’m trying to see the life that created those messes. Lily and Grace spent the day yesterday having tea parties with their dolls, building with blocks, doing science experiments, and trying out new art projects. So much life. So much love. So much fun. And yes, so much mess. Sometimes it’s okay to be messy. The important thing is to keep cleaning it up so new messes can be created and more life and memories can happen. It’s one of the reasons I’m so excited about the Spring Clean Your Home and Heart eBundle this week. Sometimes my house looks pretty clean, sometimes it doesn’t. And my heart? Oh, it needs renewing! I just read A Gentle Answer over the weekend (it’s in the bundle), and it was so soothing to my weary, wintered spirit. I’m already noticing a difference in my response to how I react to my children when they make – and then fight over – their messes. And they’re already noticing a difference in me, too. Go check out the fabulous details, and make sure to enter to win a Kindle Fire or Paperwhite (winner’s choice) while you’re there! 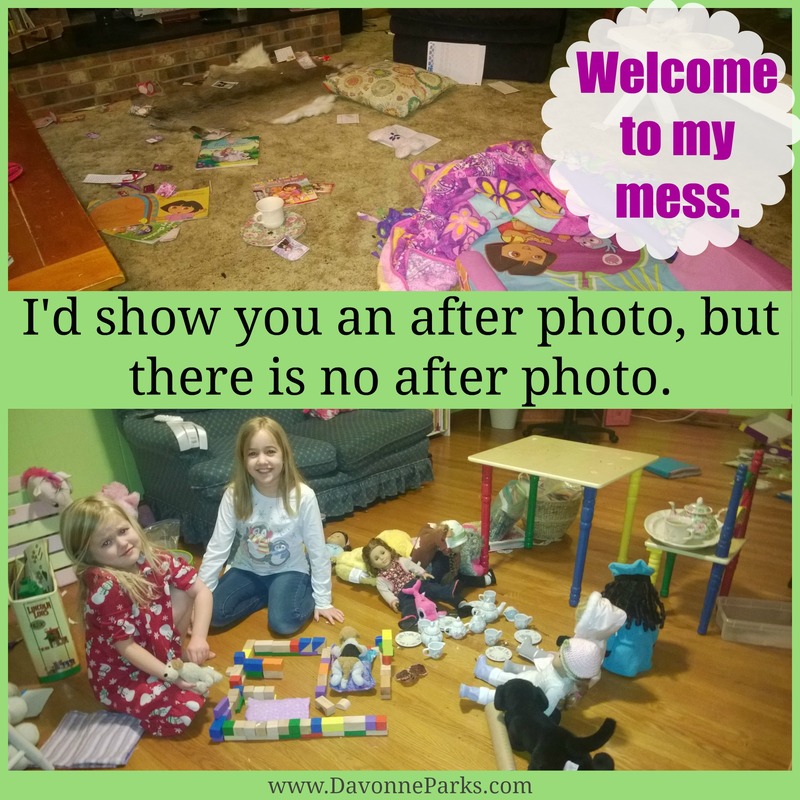 How do you feel when you see messes in your own house? “Putting on the Spirit”, with two little ones right now I think my whole family could benefit from me reading this first!